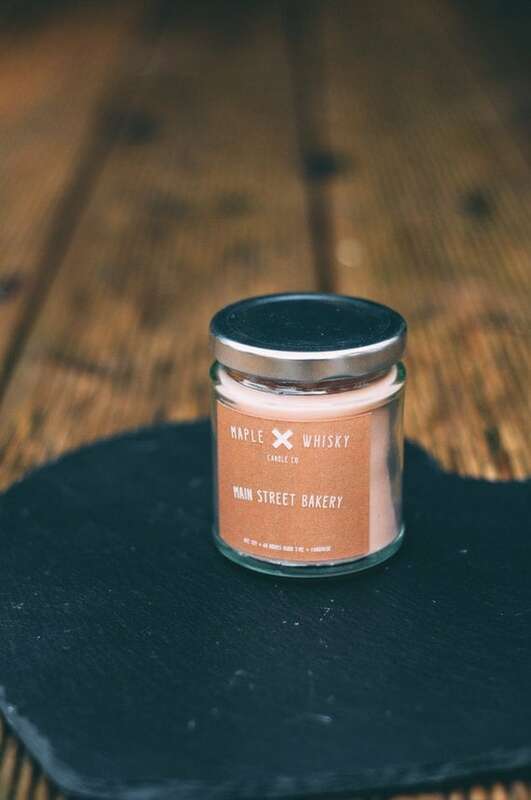 We recently discovered Maple and Whisky Candles and we are absolutely obsessed with them! Maple and Whisky make Disney (and Harry Potter) inspired candles. They make jars, wax melts and tea lights. We recently had the large jars in Main Street Bakery and Writer’s Stop. In the wax tarts we have tried Writer’s Stop, Beach Club, Adventure is out There and Tomb Sweet Tomb. The bottom line about these fragrances and products? The names are pretty much self explanatory when it comes to what to expect from the candles! Here’s our take on the ones we’re received (and smelled!). Writer’s stop – So named after the very cool cafe located in WDW’s Hollywood Studio. Once a place to sit, rest, read and grab a coffee and pastry, it now serves as a lounge for the Sci-Fi diner. So, what does the candle smell like? A blend of fresh coffee, carrot cake, pumpkin and cinammon. It’s quite a strong scent in the jar, but the candles give off a more subtle fragrance while burning. Adventure is out there – You’ve guessed it, an UP themed candle. This one smells like grapes and is fresh, fruity and fun! Main Street Bakery – This one smells amazing. I was very disappointed indeed when our jar ran out of wax as it had become my go to candle to light as soon as I got in from work. This one smells like a combination of icing, chocolate, sugar, cinnamon and baked treats. It’s exactly the fragrance that wafts out of the bakery as you wander up Main Street. It’s not overpowering or too sweet – it’s the perfect fragrance! Beach Club – Having wandered about the resort and eaten at Beaches & Cream restaurant, we fell in love with the Beach Club hotel. The essence of the hotel has been captured in this fragrance – fresh linen, sea breeze, sunshine and sand. It really does smell like the lobby of the Beach Club. Tomb Sweet Tomb – As you can imagine, this one is Haunted Mansion themed! Patchouli, musk and spices, this scent is very different but very much reminiscent of being in that doom buggy! We haven’t burned this yet but the wax tarts smell good in the packet! Soarin – We love the ride so much that this one was a must have. A tangy orange scent combines with sheer freshness to create a fragrance that smells just like the ride! 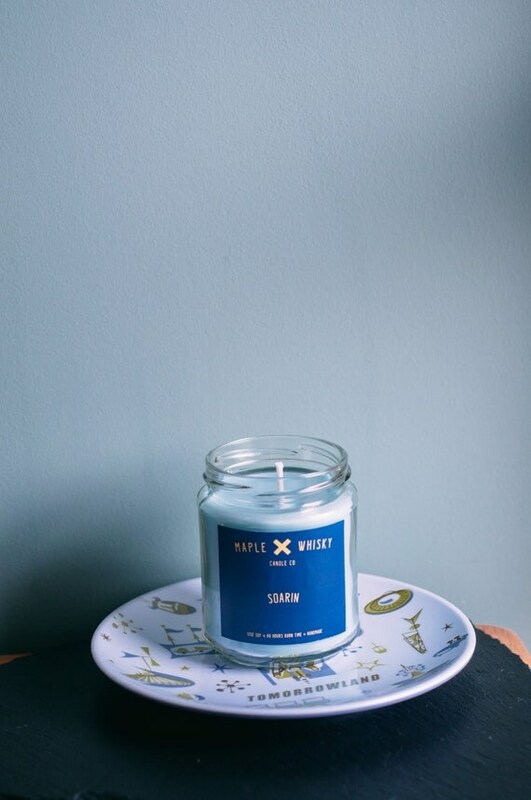 Give these candles a try – you won’t be sorry and we can 100% wholeheartedly recommend them. Click below to Shop now!